A magical afternoon @ Xinmin Secondary School’s homecoming day. 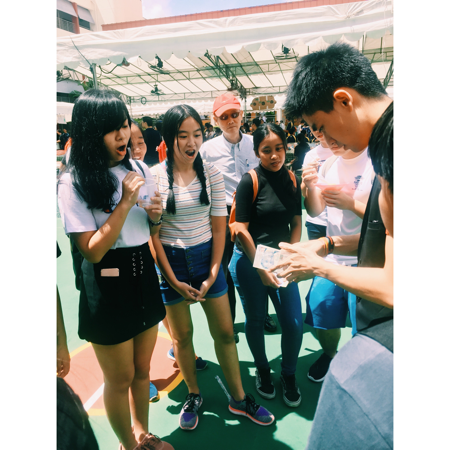 This weekend, I was given a wonderful opportunity to showcase my style of close-up magic to my peers and teachers at Xinmin Secondary School. It all started out as a surprise! 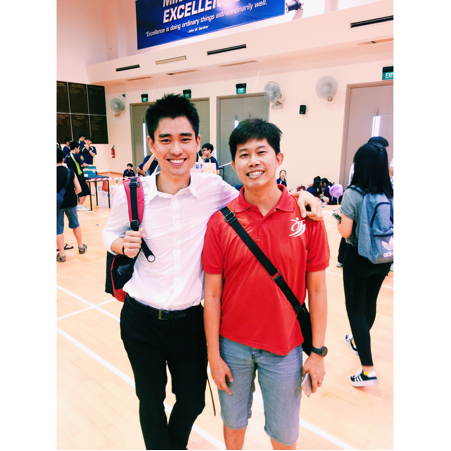 I was approached by my ex-teacher, Mr Christopher Tang, of whom, used to teach me higher-mother tongue back when I was a student studying at Xinmin Secondary School. He asked me whether or not I was interested in providing my magic entertainment services for the school. I was delighted and I replied him that I was up for it! A shot with Mr Tang! Everything about the school has changed. The school has constructed new facilities while the pantheon of teachers has changed over the years. Yet there are still some things that never will change – the sense of belonging towards a second home. I am pleased to be able to share my love for magic with the current students studying at the school. Their reactions were great and they certainly were very polite and well-mannered before, during and after my performance. I got the chance to show my magic to some of my teachers as well, of whom, enjoyed it tremendously. They told me how proud they are of me and my achievements over the years, both as a student and as a person! 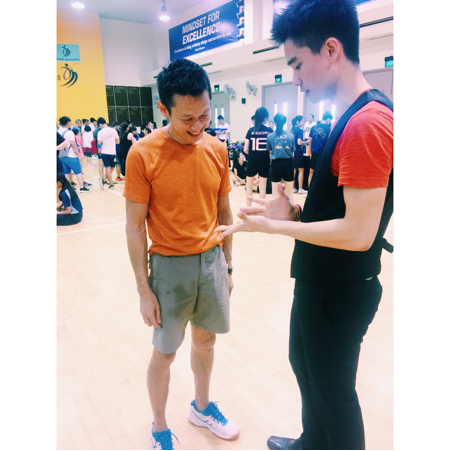 I would like to express my gratitude to my teachers at Xinmin Secondary School for all their love and care throughout the years (and their forgiveness as well, for I was not an easy student to handle) and last but not least, to my manager, Alexander, for making me a better performer while providing me ample resources and opportunities to further my dream as a magician! Thanks Alex! Anderson is a professional magician, working with Meta Illusions to deliver high-quality magic shows for restaurants, corporations, MNCs and other businesses. For more information, contact info@metaillusions.com.